Action adventure game due out later this year in Japan. 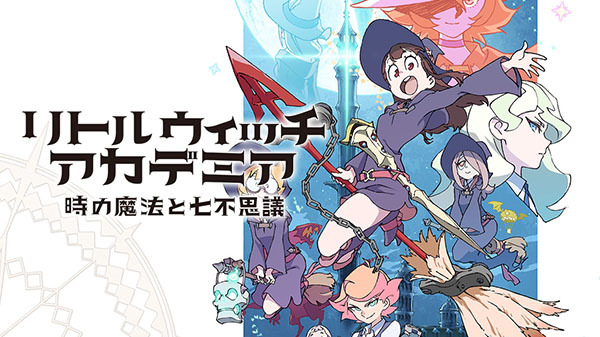 Bandai Namco has announced Little Witch Academia: The Witch of Time and the Seven Wonders, an action adventure game based on the popular anime due out for PlayStation 4 in Japan in 2017. The game will feature an original story “depicted in the same quality as the anime,” in which players will explore the Luna Nova Magical High School with Akko and others to uncover the seven wonders related to the school. It promises “detailed facial expressions” and “dynamic movements” produced in 3D, and CG animations will also appear during battle scenes. Watch the debut TV spot below. Visit the official website here. View a set of screenshots at the gallery.